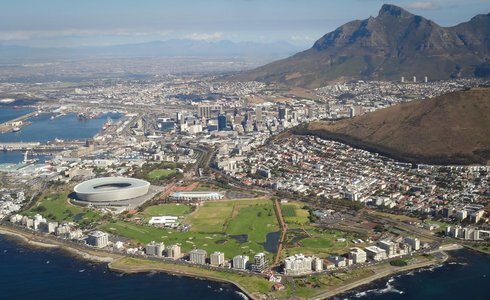 The famous silhouette of Table Mountain welcomes you to Cape Town, for the start of Your luxurious Rovos Rail journey. 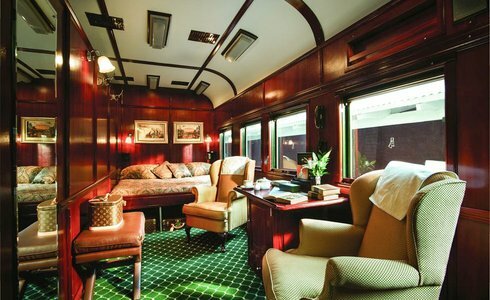 Step aboard the elegant ‘Pride of Africa' at Cape Town Station (adjacent to the Safari365 offices) and settle into your luxurious wood-panelled cabin. 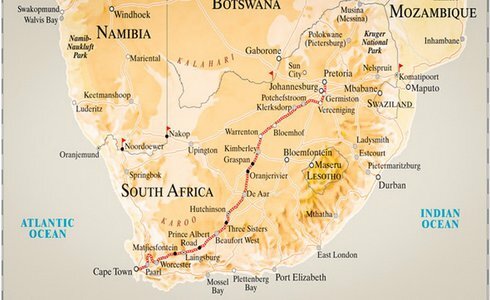 Your memorable journey begins as the train meanders slowly through the scenic Cape Winelands, through sprawling vineyards and mountain passes. The train will stop at the quaint Karoo town of Matjiesfontein, where you'll disembark for a leisurely stroll through this historic settlement and visit the museum - a collection of historic cars and railway carriages. Once you've departed from Matjiesfontein, a delicious dinner of traditional dishes will be served in the dining cars. Start the day with a hearty cooked breakfast or a tempting breakfast buffet. After lunch the train arrives in Kimberley, famed for its diamond mine, you will disembark and proceed by mini-van for a tour of Kimberley's ‘Big Hole' and the Diamond Mine Museum. Then It's back on board to continue northbound. Dinner will be served as the train pass through Bloemhof and Leeudoringstad, en-route to Klerksdorp. On the final day of Your luxurious rail journey, the train will pass through Krugersdorp, Johannesburg and Germiston, en-route to Pretoria. Your journey ends at the historic Rovos Rail Station in Capital Park, Pretoria.